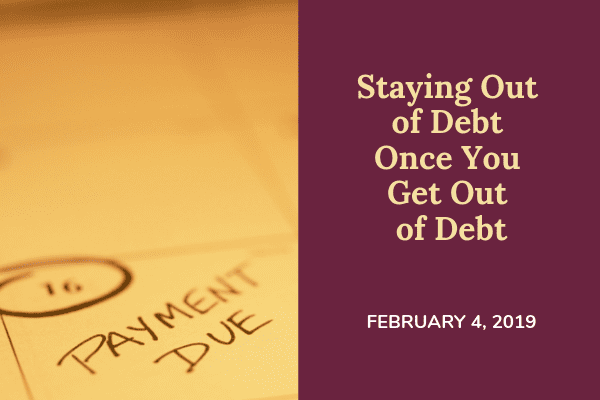 Atlanta, How do You Stay Out of Debt Once You Get Out of Debt? Paying off a major debt produces a sense of relief. You can celebrate a financial milestone; you can “pay yourself first” to greater degree and direct more money toward your dreams and your financial future rather than your creditors. Step three: buy things with an eye on value. Misstep one: spending freely once you are free of debt. Misstep two: living without adequate health, auto, or disability insurance. Misstep three: getting rid of the credit cards you used to go into debt.